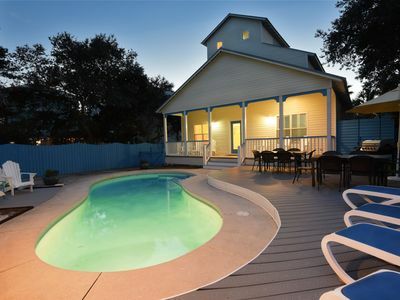 Sterling Shores 1119 - Gulf View, Heated Community Pool, Exercise Room, Grill! 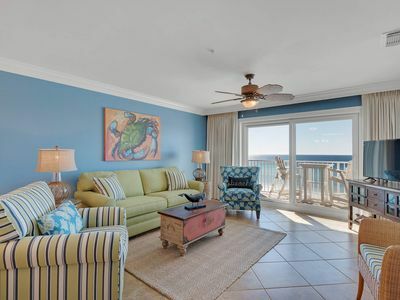 Ready to vacation in paradise? Now is your chance! 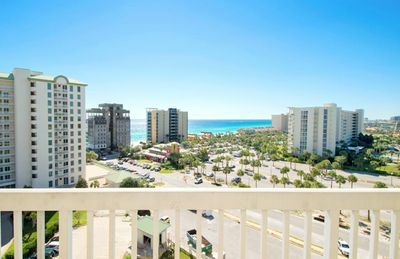 Sterling Shores is luxury condo complex located on the Emerald Coast and has a direct view of the silver sand coastline. 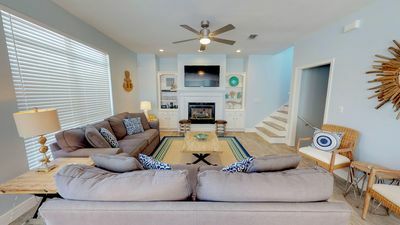 With three bedrooms and three baths, Sterling Shores 1119 is a west-corner penthouse that can host up to eight happy vacationers. 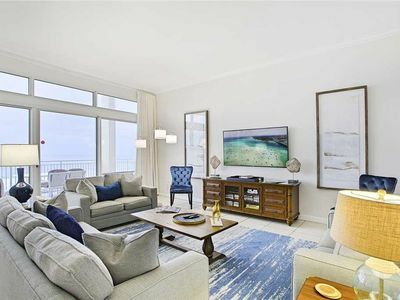 A kingly vacation awaits as soon as you step foot into the open living area with 12-foot ceilings and views of the Gulf. 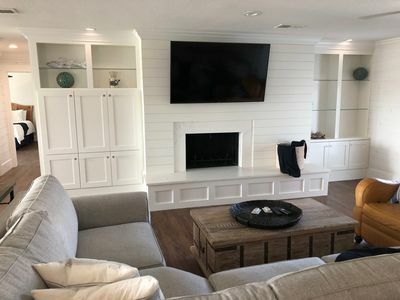 In the living room, three couches and a pair of accent chairs make up a comfortable seating ensemble facing a TV for entertainment. One couch doubles as a queen-size sleeper sofa. A nearby dining table seats eight, and the marble-topped kitchen bar seats an additional four. The large windows and glass doors leading to the balcony add a light, sunny, and airy atmosphere to the room. 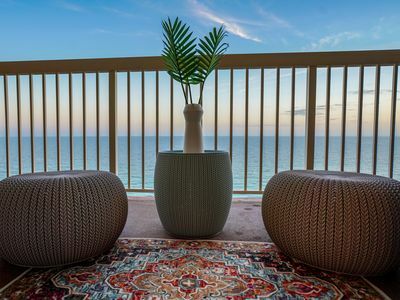 Enjoy spectacular views from sunrise to sunset on the large Gulf-front balcony. 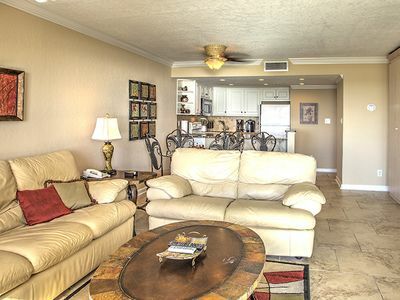 Of the three bedrooms, two make up twin master suites with king-size beds, en-suite baths, and access to the balcony. 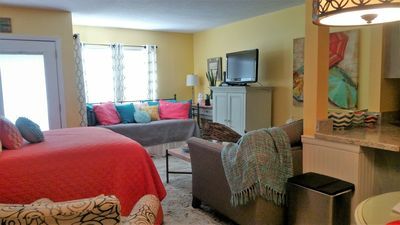 The guest bedroom includes a kitchenette wet bar, en-suite bath, and its own private balcony. 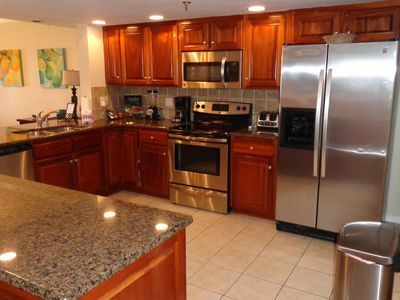 Vacation guests will enjoy the impressive amenities provided by Sterling Shores. 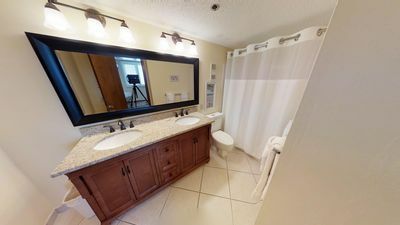 These include a 4,300 square-foot swimming pool, patio with a Tiki Bar & Grill, an additional fan-shaped pool, a surround- sound movie theater, and a fitness room. 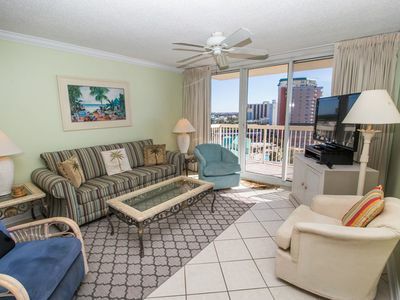 Its immediate proximity to the beach is also a huge plus! 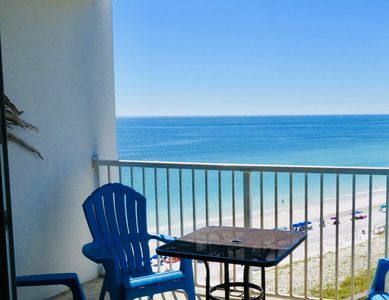 Another benefit of booking a stay at Sterling Sands is its convenient location in the center of Destin – placing it in the thick of all things coastal. 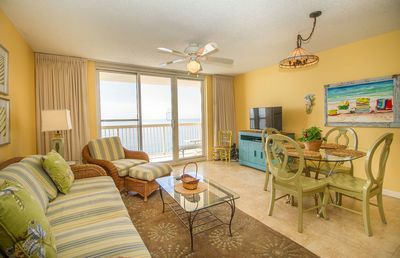 Grocery stores, beach bars, popular restaurants, shopping, seasonal festivals, and music concerts are all located nearby. 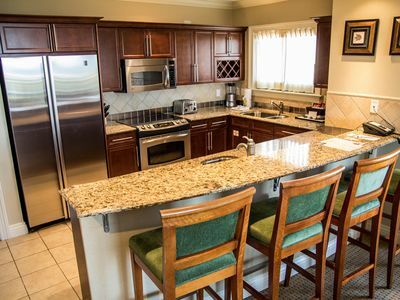 Ocean Reef Resorts guests also receive additional perks, including discounted rates at Big Kahuna’s Waterpark and Harborwalk Village. 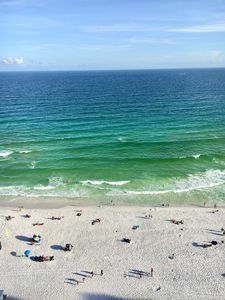 Enjoy a vacation of relaxation, while also enjoying other great activities available in Destin. 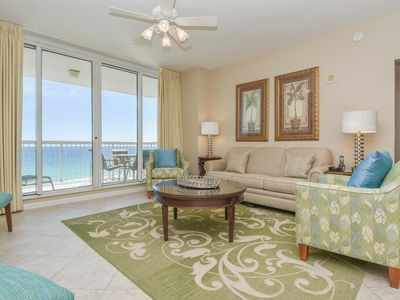 "Breakers East 1102"~Gulf Front 2BR/2BA~Remodeled Condo~Spectacular View!! 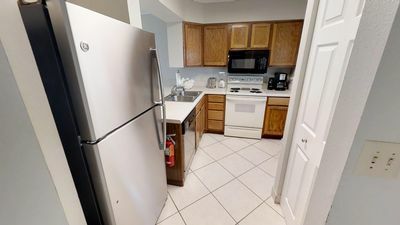 Unit 202 - East View Gulf of Mexico View at Budget Bronze Rate! 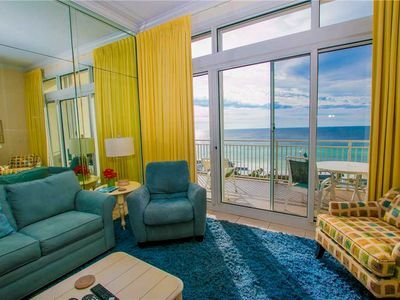 "Breakers East 901"~2BR/2BA~End Unit~Heated Pool~Beach Setup Included! 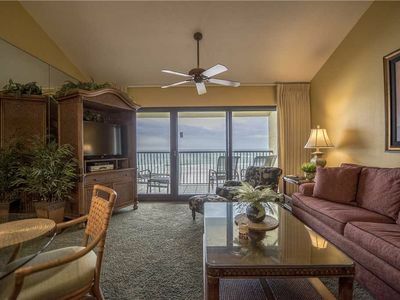 Amazing views from this 11th floor Unit in Shoreline Towers . Beach Front View! 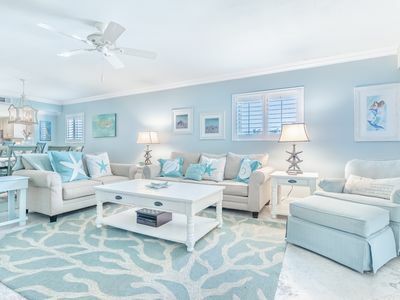 ~ Pelican Beach Resort~Newly Renovated &Listed!